Following the flamboyant launch, the all-new Infinix NOTE 5 Stylus will go live for sale exclusively on Flipkart starting today midnight at 00:00 hrs. 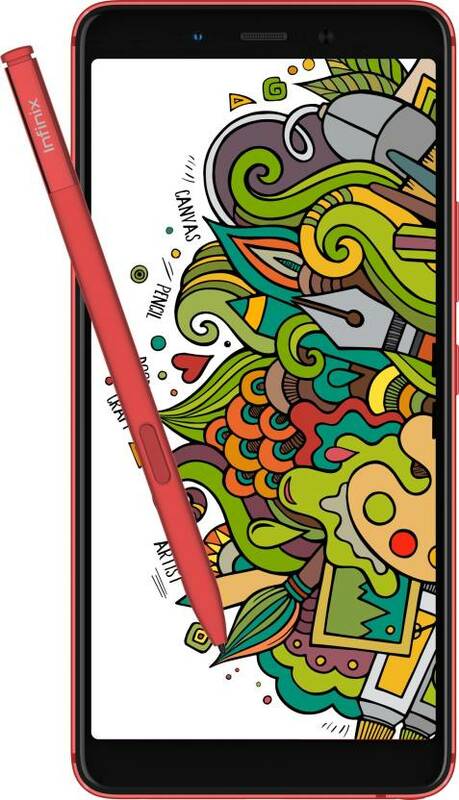 The brand has added yet another game changer in the sub 20K segment by launching a unique combination of its first Stylus Note device with Google Android One. With a 4GB RAM + 64GB storage variant, the smartphone is available in two chic colors: Bordeaux Red and Charcoal Blue. Putting an end to the wait and excitement, the first sale of Infinix Note 5 Stylus brings a special launch offer using which buyers can avail 10% instant discount on Infinix NOTE 5 Stylus using any of the prepaid transaction method. Aimed to focus on convenience and functionality beyond the typical keyboard experience, the XPen of Note 5 Stylus comes with 4096 levels of pressure sensitivityso the lines are finer, detailed and are as natural as putting a pen to paper. Plus XPen comes with button using with it can give Air commands to perform shortcuts like opening a Memo or Menu, Switching between Pen & Eraser while Painting/Writing. It is a perfect doodling partner as it gives creators the ability to design, draw, sketch, and express freely on the go whenever inspiration strikes. The device also allows note takers to create memos, grab screen-shots, and do mathematical calculations in a jiffy. Not making language a barrier, you can make notes in Hindi or English and let NOTE 5 Stylus recognize and format the document for you. Further, with Stylus you don’t need to keep a calculator with you anymore as it can calculate from simple calculations to the most difficult ones. · Click the button - Open the Xpen menu from any window.